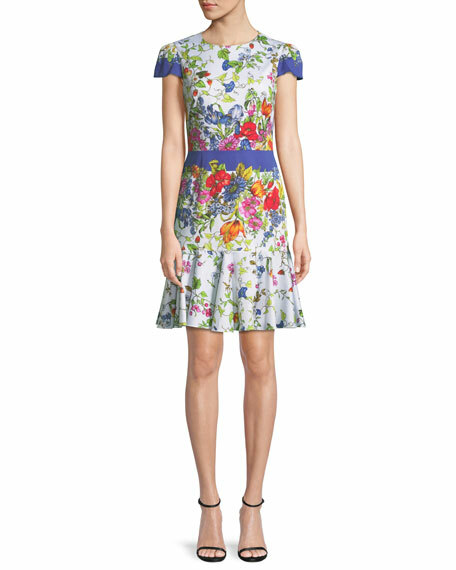 Zimmermann "Corsair" shirred dress with floral-print. 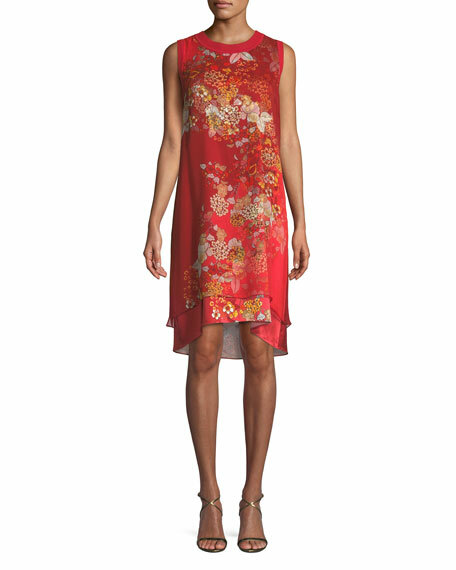 For in-store inquiries, use sku #2394767. 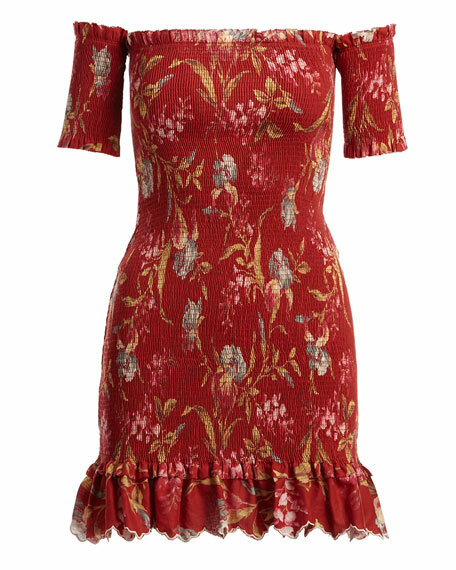 Milly floral "Karissa" mini dress. 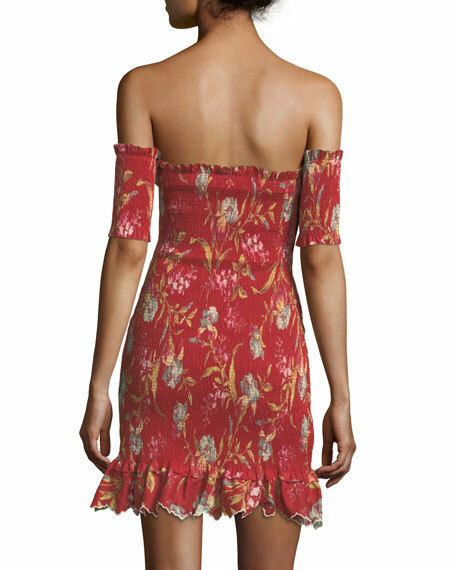 Round neckline; button-keyhole back. Short cap sleeves. Fit-and-flare silhouette. Hidden back zip. Mini length. Pleated hem. Cotton/spandex. Made in USA of Italian material. 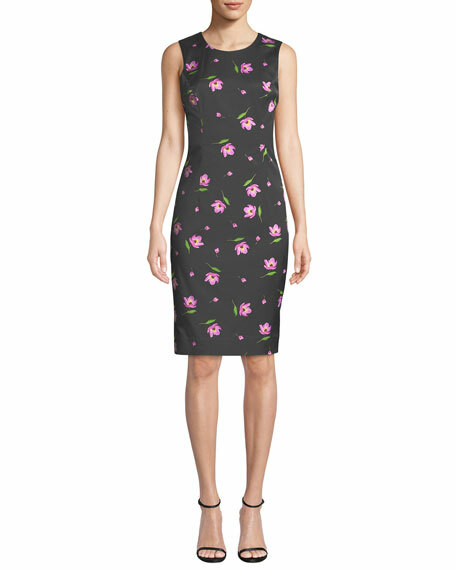 Milly "Kendrea" floral-print dress in stretch viscose. Crew neckline; buttoned-keyhole back. Sleeveless. Sheath silhouette. Hidden back zip. Knee-length. Straight hem; slit side. Cotton/viscose/spandex. Dry clean. Made in USA of imported material. 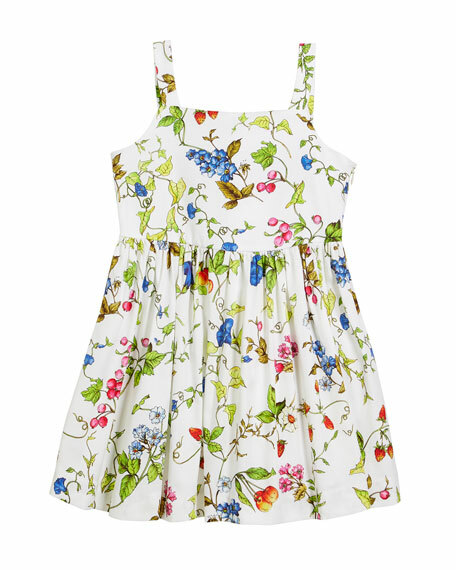 Milly Minis "Emaline" dress in floral print. Square neckline; double bow open back. Sleeveless; wide straps. Pleated waist. A-line silhouette. Cotton/spandex. Made in the USA of Italian materials.